A monument to Uncas, the first Sachem of the Mohegan tribe, marks his burial in what remains of a Native American cemetery in Norwich. 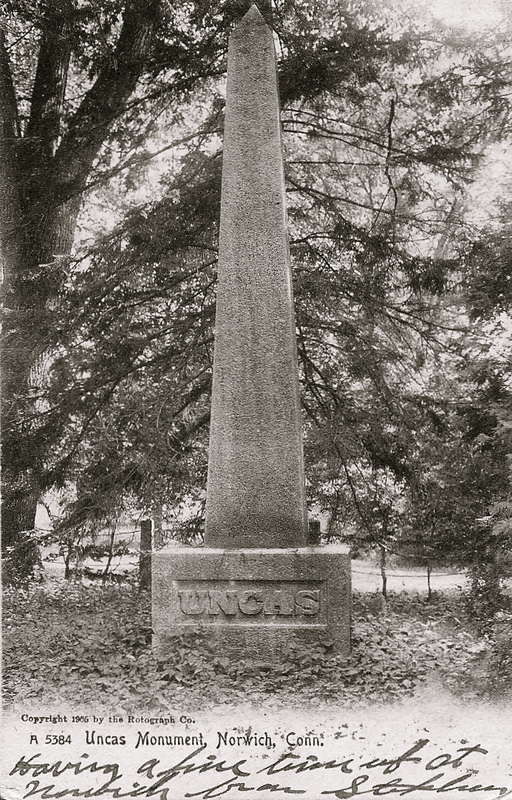 Uncas, who died in 1683, led the Mohegans after they split from the Pequot tribe over issues including strategies for responding to the arrival of English settlers and tribal succession planning. 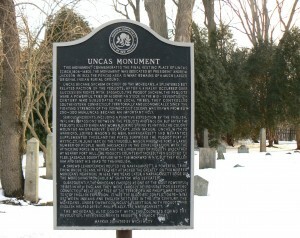 Uncas favored collaborating with the settlers, while a faction of Pequots led by Sachem (head chief) Sassacus preferring fighting over land and control of the local fur trade. 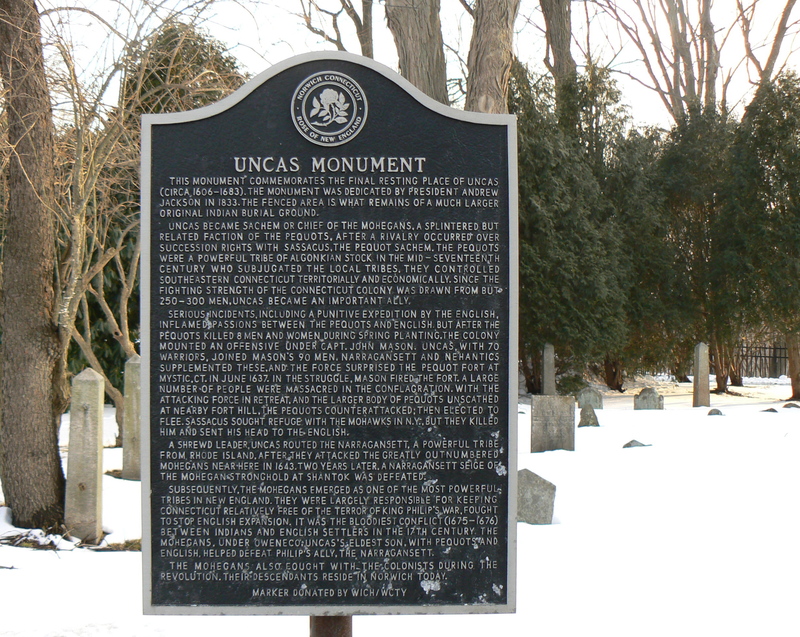 The dedication ceremony was marked by several speeches praising Uncas for his cooperation with the settlers, but for some reason, no Mohegans were invited to participate. 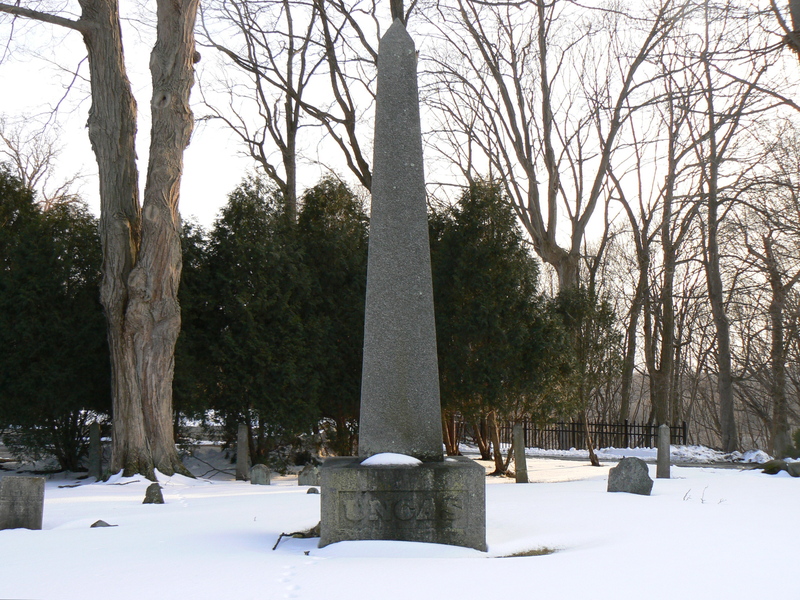 Organizers apparently assumed the tribe was extinct, and didn’t know that survivors were living in nearby Montville. 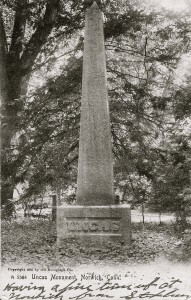 “Buffalo Bill” Cody laid a wreath at the Uncas monument in 1907 when his Wild West stunt show visited Norwich. 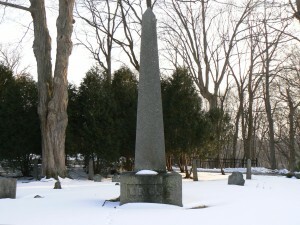 The Mohegan’s burial ground may have covered as many as 16 acres over what is now a well-developed residential neighborhood. 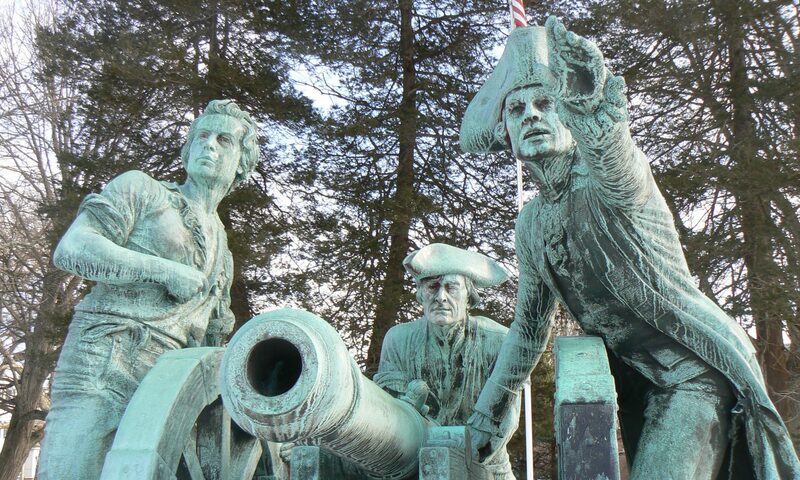 Today, a sixteenth of an acre remains. 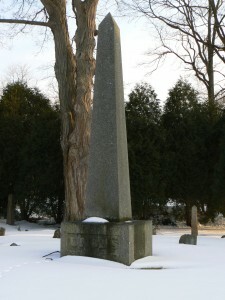 In 2008, the Mohegans dedicated a memorial to ancestors whose graves were lost to redevelopment of the burial ground on the site of a former Masonic lodge near the Uncas monument.